Welcome, everyone to A Space Ahead. This is a blog that is all about gaming, whether it be with dice, tokens, cards or even the humble pencil and paper. Check in every Friday to see all my reviews, insights and opinions on a passion of mine, gaming. So feel free to roll the dice and move “A Space Ahead”. Lennard is a Brit raised in America, living in Indiana. He’s studying to be a teacher and his day job is providing before and after school programming at a local elementary school. 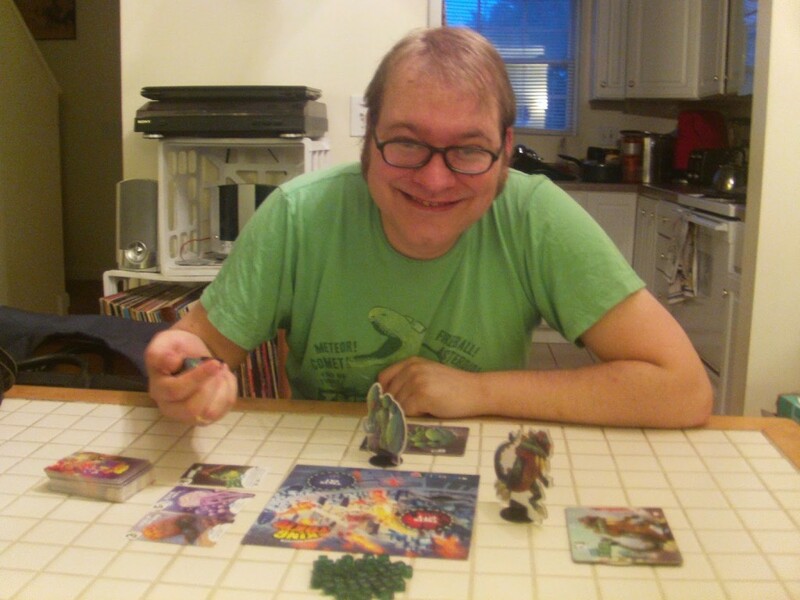 He takes every opportunity to open his students’ eyes to the possibilities in gaming beyond Monopoly and Chutes and Ladders. When he isn’t playing games, Lennard is frequenting his local karaoke establishments and generally having a great time and meeting new people. Adriana was born in California but now has found her home here in Bloomington. While pursuing a BS in Biology (her passion being Molecular Biology) Adriana works as an aide to adults who are developmentally disabled. 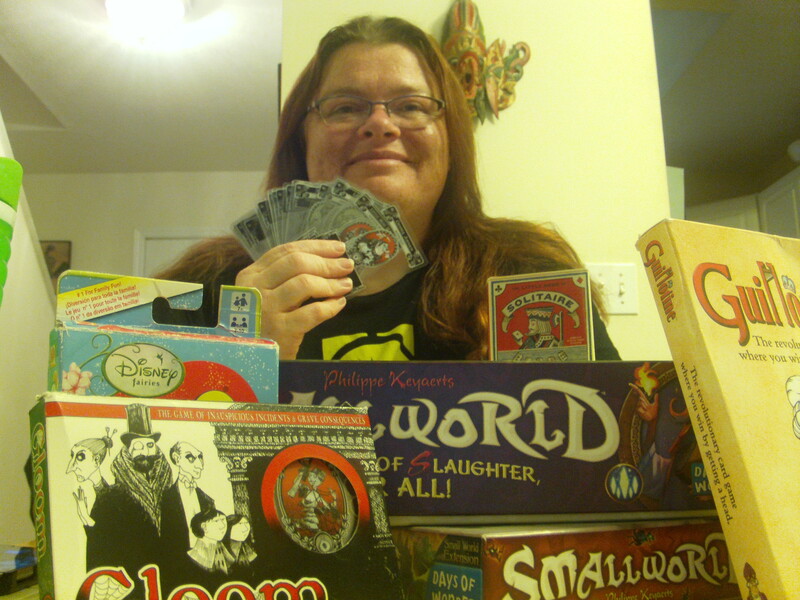 In her private life, Adriana is an HBO junkie and game fanatic, her favorites being Small World (and its myriad expansions) and the Gothic gem that is Gloom (which also has a boatload of expansions). John is a toy fanatic/reviewer and the resident voice of reason on the Failed Task Podcast. Every week, John brings his expertise of toys and collectibles to the Internet with reviews and toys he has rescued from the purgatory known as “the discount bin at a local yard sale”. John is also an accomplished artist, with a browse-able DeviantArt portfolio. He is available to work on commission, should you like what you see. 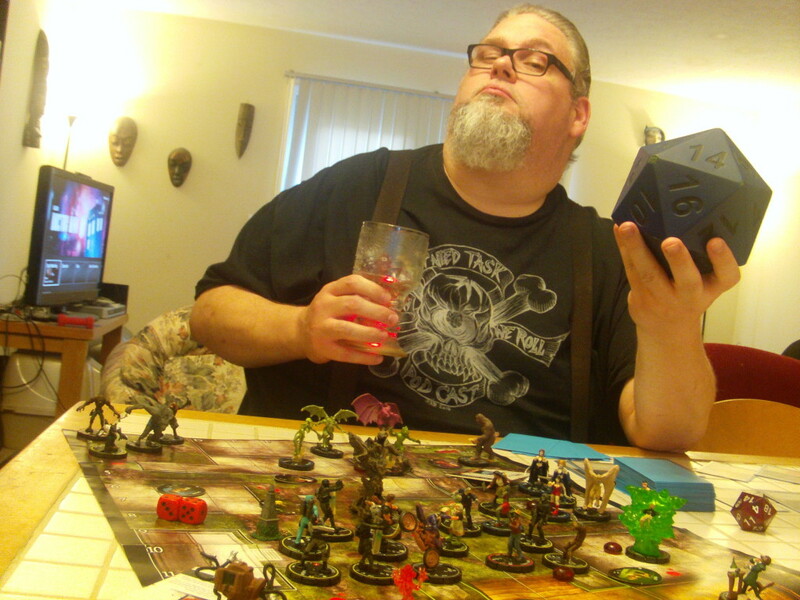 Here at A Space Ahead, John brings his expertise of roleplaying, miniatures and HeroClix (not to mention fantastic/awful puns) to the table to make sure that the games we review are up to snuff. 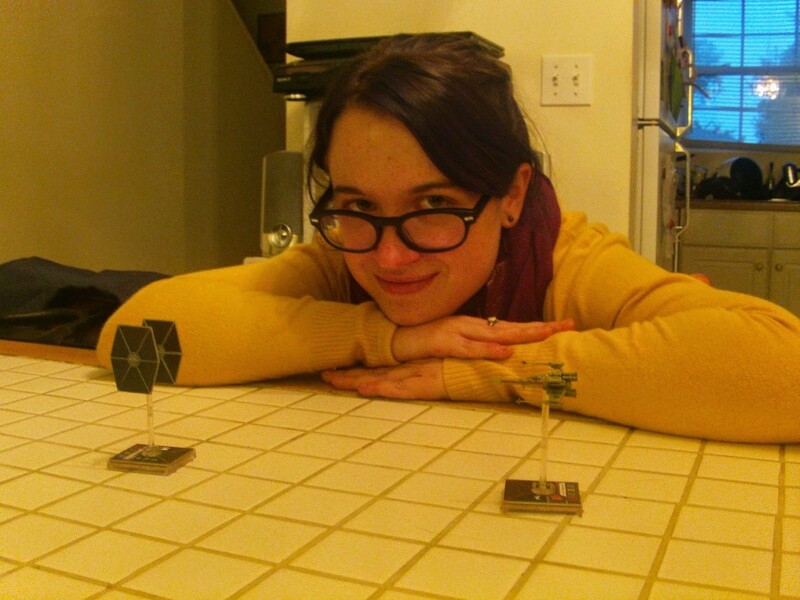 Laura is a born and raised Hoosier who is new to the gaming scene. She is currently studying to become a nurse and her day job is providing home health services to the elderly. In her free time, Laura is a singer songwriter and when the sun goes down, she’s a local burlesque performer. Laura’s specialty is party games, because this lady knows how to keep the party going. Sarah hails originally from Pennsylvania and ended up in Bloomington to pursue her goals of higher education. Now with two Masters degrees, she spends her time on the Board of Directors of a local nonprofit, Pets Alive, which provides low cost spay and neuter services as well as vaccinations for a myriad of furry friends. 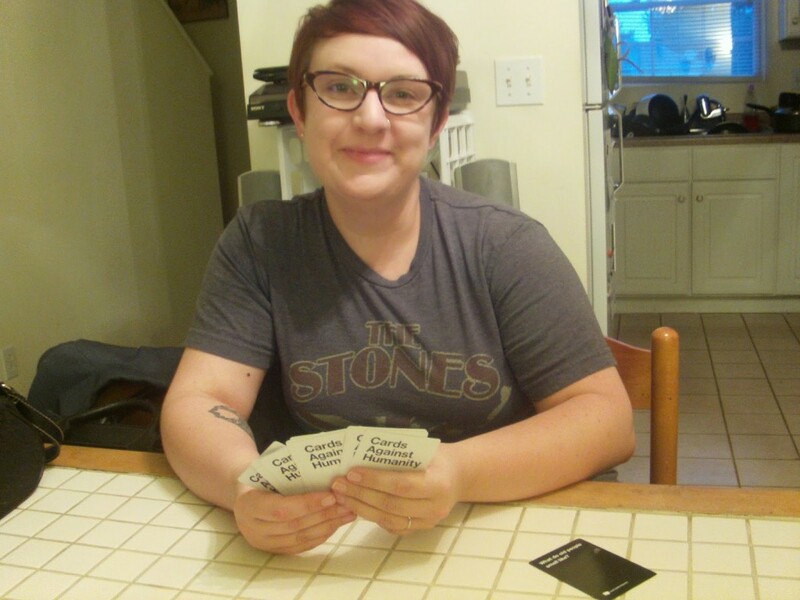 Sarah is an expert on the field of apples (the kind you eat) and her specialty is casual games, but she’s expanding her repertoire rapidly- if you see this lady tearing it up with Magic or Betrayal at House on The Hill, you’ll quickly learn not to underestimate her.